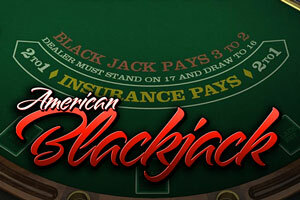 Welcome to American Blackjack. Six (6) decks of cards are used to play this variant. Each player plays only against the dealer (i.e. the bank), independently of other players. Your goal as the player is to draw cards (i.e. hit) until your hand adds up to 21, or comes as close as possible without exceeding 21. If your first two cards total 21, you have Blackjack! In American blackjack, the dealer is dealt 2 cards; one that is face down and the other, face up. The face-down card is known as the ‘hole card’. A dealer is allowed to peek at this card if blackjack is a possibility. That is, if the face-up card is an Ace, the dealer instantly checks the hole card without anyone else seeing the card. 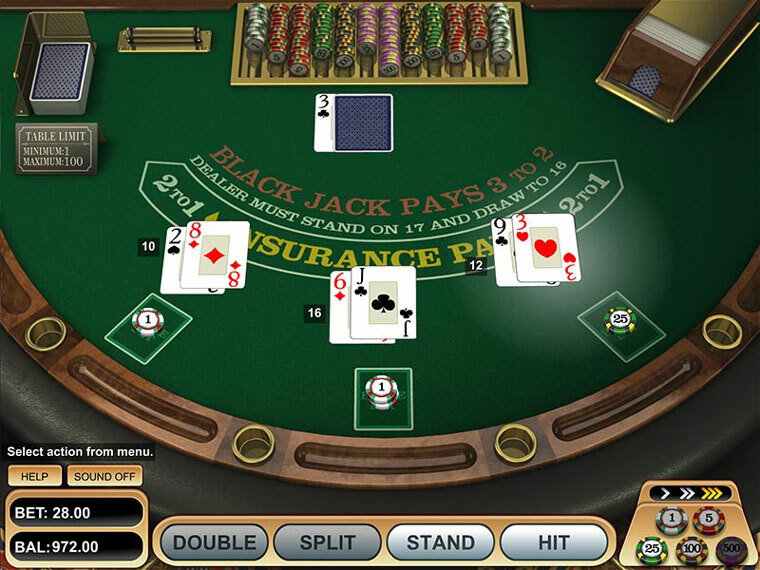 If the hole card causes the dealer to have a blackjack, the hand will instantly end and all players’ bets are then collected by the dealer. A potential benefit of American blackjack versus European blackjack, the hole card, is that with the American version since the round ends immediately if the dealer has blackjack, it prevents additional player losses which might occur from doubling up or splitting.